As businesses strive to be where their customers are, chat seems to be the next big platform to aim. And why not? According to HubSpot, 48% of consumers would prefer connecting with a company via live chat than any other medium. Messaging platforms have proliferated in the last decade with the emergence of Facebook, WhatsApp, Skype, WeChat and many more. Enterprises are now looking for ways to mark their presence on these chatbot platforms, with healthcare industry not being far behind. In fact, according to the Global Market Insights, the virtual health assistant market is expected to surpass $1.5 bn. by 2024. Chatbots are conversational engines where you can ask questions or give certain instructions to a computer and the bot would respond to your actions with contextual answers, all the while making communication sound human. 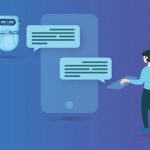 Chatbots could be implemented for automating a straightforward process like customer care or as complex as using AI to deliver specific instructions based on previous conversations or studying set patterns. Chatbots can transform the healthcare industry by informing, connecting as well as comforting patients. Patients can now search for illness linked to their symptoms faster if a chatbot is made available on healthcare websites or apps. With knowledge gleaned from previous conversations and existing knowledge, people can get a better idea of their condition and the next steps to be taken. Many hospitals are spending a lot of money in customer care, having representatives answer customer queries over call, mail or chat. 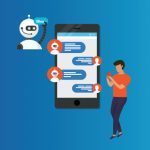 Chatbots can save a lot of time and money by solving basic customer queries automatically and only sending the complex questions to a human. When setting up an appointment for a new patient, a chatbot could initiate the process via basic questions. The patient name, age and symptoms would be enough for the bot to direct the patient to the right physician, thus saving time for patient and the hospital receptionist. Patients can also use bots to find specialists and book appointments closer to home. One of the most common ways in which a chatbot is used in the healthcare industry is as an appointment reminder. Moreover, reminders can be sent regarding pills and checkups. Chatbots can monitor health status, make slight alterations to medications based on results and specialists can be involved if anything is amiss. This would improve healthcare services for the patients as well as save time for specialists. Chatbots can be of immense value to patients who have recently undergone surgeries. 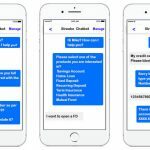 From physiotherapy to nutritional advice and from reminders for taking medicines to expected course of recovery, a chatbot can handle it all. Most importantly, chatbots can provide a wonderful experience to patients and hospital employees, speeding up response times. It’s time healthcare organizations start exploring ways to integrate chatbots in their existing websites, customer portals, employee intranets, mobile applications and messaging services like Facebook to improve customer engagement and provide superior service. Streebo has gained widespread expertise in developing digital solutions for customer and employees in the healthcare industry. With experience in developing chatbots and socializing it on websites, apps and 3rd party chat services, Streebo is your go-to-partner for introducing chatbots on your healthcare digital property. Revolutionize healthcare today with Streebo’s healthcare mobility solutions.